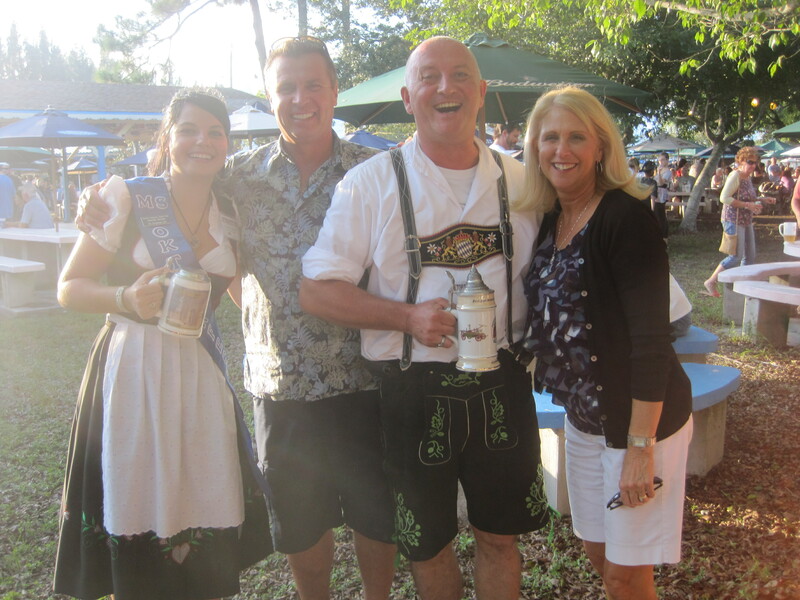 Oktoberfest in Cape Cora, FL is always a fun event. We have gone 4 years in a row and this year did not disappoint! 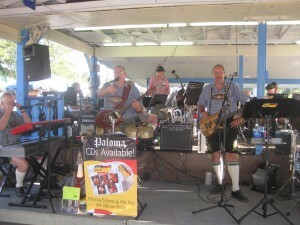 It is held at the German American Social Club on Pine Island Rd. 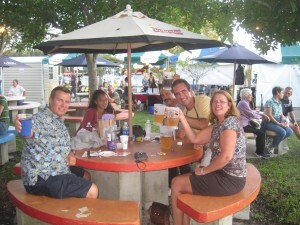 and it runs the last two weekends of October featuring lively German music, performers and the food! It’s very popular with the locals and garners a packed house! This year we went on the first Saturday and sat at an umbrella table in the Garden – it was a gorgeous day about 78 degrees and sunny. 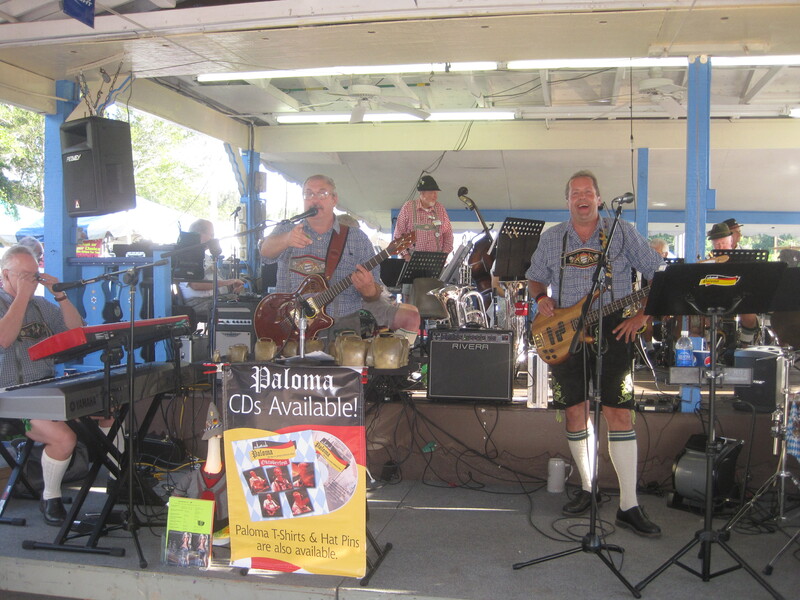 The bands were great – we listened to The Paloma Band from Chicago who entertained us with their many stories as well as some fun music – even a little “Blue Brothers” thrown in! And a local band Hafenkapelle from Cape Coral who drew a lot of audience participation! I think we did the Chicken dance about 4 times! The Lee County Pipe & Drum did a segment in the Garden too! The food, as always was amazing! We sampled flavorful potato pancakes that were crispy on the outside and warm and yummy on the inside served with a side of applesauce. There were knockwurst and bratwurst with sauerkraut, pulled pork sandwiches with spicy or sweet barbeque sauce – mouth watering! Schnitzel, sausage dinners and lots of German potato salad. And the desserts were great too! Apple Strudel, carrot cake and delectable German chocolate cake. And of course lots of German beer and wine! We met a group of friends there and did lots of dancing! I think what I liked best was to look around and see people enjoying themselves so much. There were smiles from little ones as well as the seniors! The volunteers are always dressed to the nines in their lederhosen and German dresses! We even met Miss Oktoberfest Marcella Schmidt! She was adorable and so sweet! Highly recommend it if you are ever in town the last 2 weekends of October!